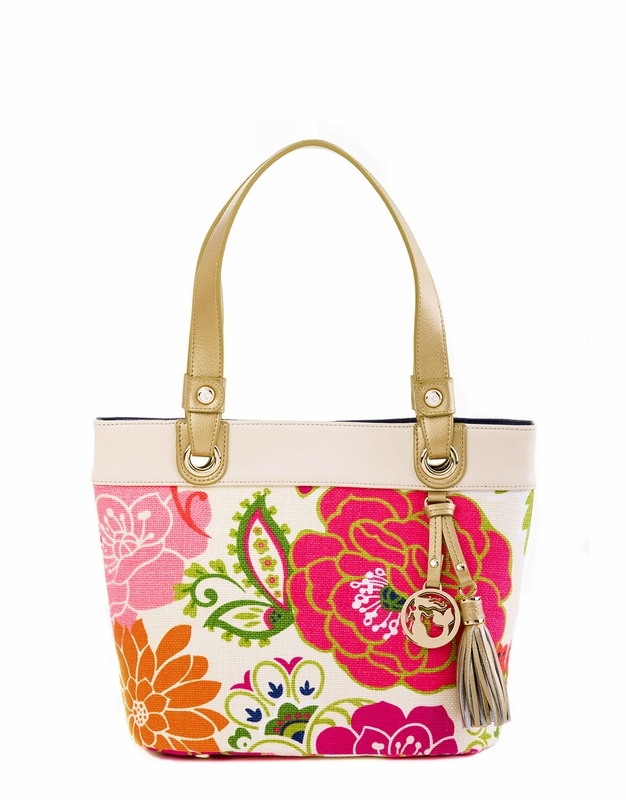 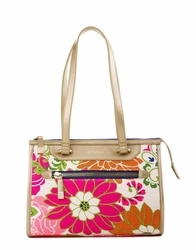 No matter where you're going, this new Day Tote will add glamour to your agenda! 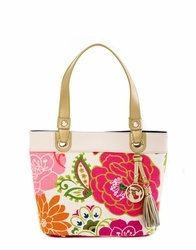 Genuine leather shoulder straps are designed to be extra comfortable. 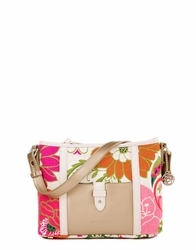 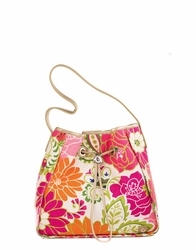 Roomy linen interior includes two side pockets and a zippered pocket. Leather accents in contrasting colors include a block of leather trim & stylish tassel with the signature Spartina Mermaid charm.